JRP Tree & Demolition is proud to provide stump grinding services for folks throughout Houston, metro Houston, and the surrounding area. We have years of experience under our belt providing tree services, including out stump grinding services, and we know what it takes to give you the ideal landscape. In many instances, tree stump grinding is the best and most economical method of tree stump removal below grade. We have several stump grinders ranging in size depending on the size and location of your stump. These heavy duty machines operate a toothed disk that spins and tears into your stump. The disc slowly moves side to side and downward until it has entirely devoured the stump at hand. Our stump grinders have the ability to grind out some sub-surface roots, so you can truly reclaim a flat grade in your landscape. And of course, JRP cleans up the mess! If you’re ready to get started, don’t hesitate to reach out to us to get a free quote for your upcoming stump grinding project. Also, feel free to read on to learn more about stump grinding, including common reasons to have your stump ground down, the benefits of full stump grinding, answers to our frequently asked questions, and more — all listed below. There are a number of reasons why our clients contact us to have their stumps ground down. Often we grind stumps to prepare properties for laying infrastructure, placing sprinkler lines, installing new landscaping, resolving safety concerns, and as a proactive measure to keep fungus and pests off of your property. If you need to lay a gas, power, internet, electric, or plumbing line through your property, you may have a stump that is in the way. These lines often must be buried, and a stump may unfortunately fall directly in the way of the infrastructure line that you’d like to lay. Now, stump grinding may be a viable option in order to make routing your infrastructure lines easy. However, some stumps have root balls that are larger than the maximum depth of our stump grinder, so you may have to have your stump fully removed, or you may need to route your infrastructure lines elsewhere. We can help with a full stump removal as well. Similarly, a stump may be in the way of your sprinkler lines, or it may sit right where you’d like to install a sprinkler. When your stumps deter you from installing sprinkler lines that sufficiently cover your lawn, we can grind your stump to below grade, so that a sprinkler installation may be possible. Again, if you’d like to install a particularly deep irrigation system (beyond the maximum depth of our stump grinder), it may be better to have the stump fully removed. In some cases, we may be able to grind down as far as 16 inches below the grade of the surrounding ground, so that you can lay a sprinkler line. If you’d like to utilize the area of your lawn that is currently occupied by an old stump, then stump grinding may be the perfect solution. We can grind down your stump to well below the grade of the surrounding landscape, so that you can pour in topsoil for grass, a garden, or other flora. We can grind to specific grades, depending on your intention for the space, and we can completely remove your stump, if you’d like to plant a full tree in its place. 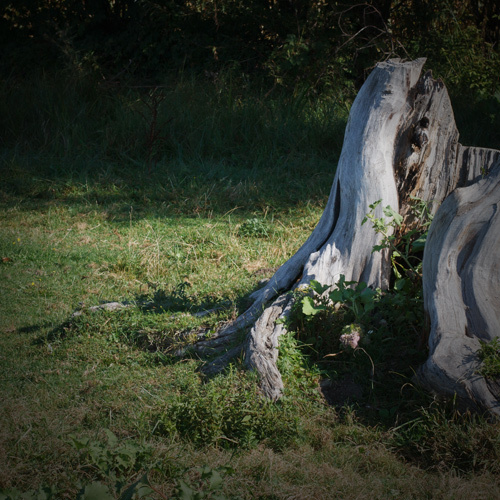 Stumps can be downright dangerous in your yard, especially if you use it for activities, or if your kiddoes are constantly tearing through the yard. A stray stump can be an easy object to trip over, and it’s anything but forgiving. We can grind your stump down to make your yard entirely level, so that you’ll have peace of mind that nobody will be injured on your property. Old stumps can attract fungus, disease, and pests, which can, in turn, spread to other flora and trees throughout your landscape. You may even attract termites that can eventually make their way into your home. It’s best to have old stumps ground down, so that they don’t become fodder for fungus, disease, and pests. Grinding down a stump on your property may be a no-brainer. After all, you may need to grind your stump down for any of the aforementioned reasons. That said, stump grinding can also provide a variety of additional benefits that you may not have considered. Stump grinding can add value to your property, it can enable you to improve your landscape, it can ensure that nearby plants thrive, and it will ensure that your property is safe. When it comes time to sell your home, it won’t just come down to the value of the house itself. 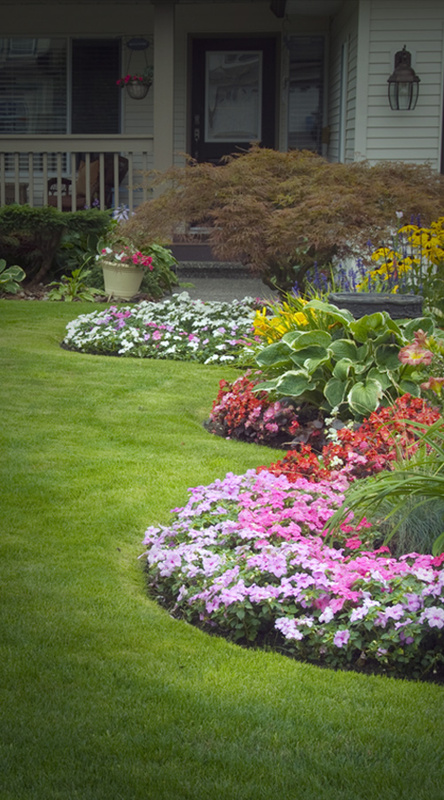 Homebuyers look at landscapes too. In fact, your landscape may be the first thing a homebuyer notices when they take a look at your property, and a well-manicured landscape will provide more curb appeal than a landscape that is stippled with stumps. If you’re planning on putting your home on the market at any point in the near future, then it may be worth your while to remove any ugly, troublesome stumps on your property; instead, it may be best to update your landscape with a perfectly contiguous lawn or landscape theme. Removing your tree stumps provides you with more opportunities to landscape your property. Do you have a stump in the center of your lawn? Well, you can remove it to reclaim a full, lush lawn across your entire property. Do you have a stump in the middle of your garden? Have it ground down so that you can make the most of your garden plot. Maybe you have a stump, and you miss the old tree that use to cap that old stump. We can grind your stump down so that you can plant a new tree to take its place. The opportunities are endless with our stump grinding services. As we mentioned above, your stump can turn into a hazard for other plants around your property. Stumps can attract pests, and they can house fungus. Removing your stumps ensures that other flora throughout your landscape won’t be at risk from these pests or disease. Stumps that are near your home may also cause problems, since they can harbor termites which may attempt to consume the wood structure of your home. Stumps can trip up residents of your home, and those who are traveling across your property. Since stumps are usually at ankle height and hidden by foliage (leaves, grass, or otherwise), they’re perfectly camouflaged to trip someone up. Grinding down your stumps will ensure that your property is safe, even if young kiddoes are running around the lawn playing tag. How deep below grade can you grind a stump? It depends. We can use specific machines to grind down to specific grades. If you’d like, we can grind down to about 16 inches below the grade of the surrounding terrain, providing ample depth for sod, some plants, and certain infrastructure projects. 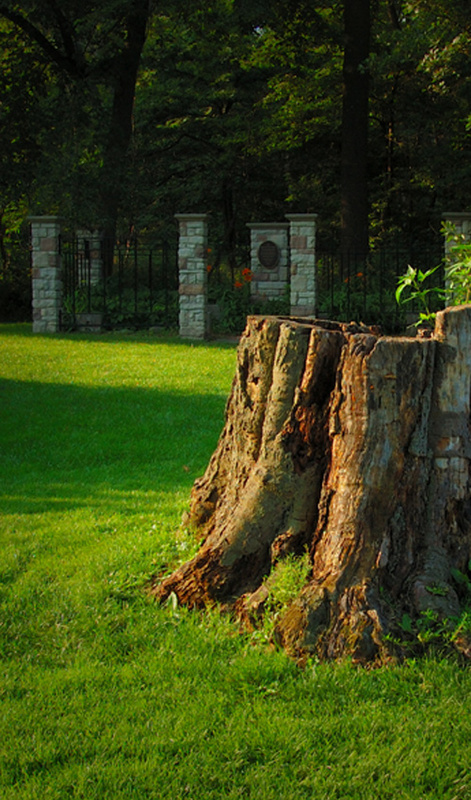 If you need further depth, we can provide complete stump removal services. What size stump can you grind down? We can grind stumps with any diameter. That said, grinding larger stumps will take more time, since the machine slowly grinds across and into the stump. How long does it take to grind down a stump? It depends on how large the stump is. That said, most stumps can be ground down in a matter of hours, so nearly any job will be complete within a day. For smaller stumps, grinding can take as few as 15 minutes. Stump grinding machines are designed to tear through wood, chip by chip. A stump grinder has a motor which powers a spinning disc. The spinning disc has rough teeth which “chew” into the stump as the spinning disc runs across the surface. The machine moves the disc back and forth across the surface of the stump, tearing away a few inches at a time. Once a layer is removed from the top of the stump, the grinding wheel is moved downward, and the process begins again, removing layer after layer of wood. You may be tempted to grind down a stump yourself. After all, you can rent a stump grinder, drag it to your property, and turn the machine on yourself… Right? Well, we’re here to convince you that turning your stump grinding job into a DIY project may not be the best idea. First of all, stump grinding can be dangerous. Our crew has the proper experience and training to operate a stump grinder. We wear the proper safety gear to ensure that the stump grinding is safe for our crew. And our employees are insured against accidents if they should occur. Beyond that, stump grinding with a rented machine isn’t going to save you much money, if any at all. It can cost over a hundred dollars per day to rent a stump grinder (usually a smaller model), while it will cost about a hundred dollars to have a stump removed (depending on the size of the stump). So, if you’re only removing a stump or two around your property, you could end up spending more than you save. Finally, stump grinding is time consuming, and you’ve got better things to do. Grinding down a full stump can take hours on end, since the grinder slowly works across the surface of the stump, and down to the roots. You’ll have to stay and tend to the stump grinder, or physically operate the stump grinder throughout the grinding process. Plus, if you perform a stump grinding yourself, you’ll have to do all the cleanup as well. We take all of the wood chips off your property, leaving it perfectly prepared for your next landscaping project. 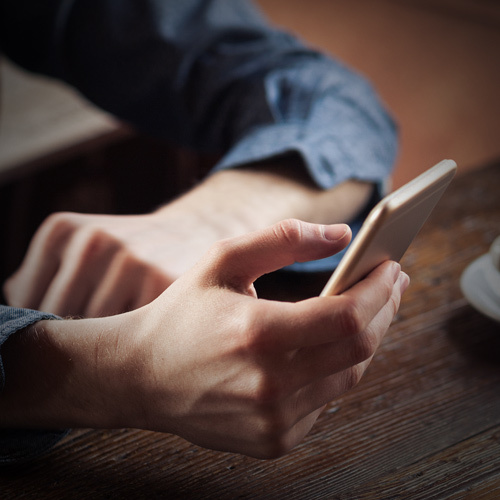 With JRP Tree and Demolition, you won’t have to lift a finger after you pick up the phone. We’ll work with your schedule to grind any stump or stumps on your property. 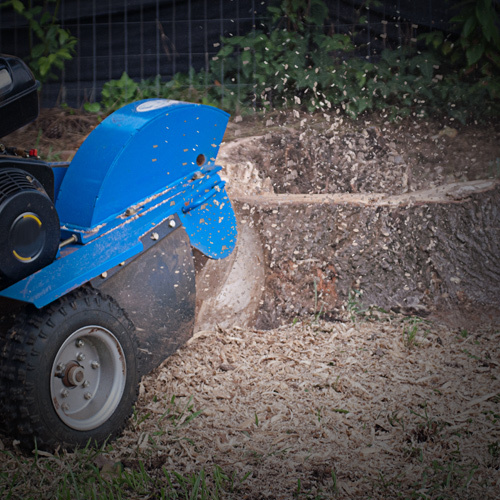 If you’re ready to get started, we’re here to ensure that your stump grinding project couldn’t be easier. Just give us a call, and we’ll give you a free quote and schedule an appointment. On top of our stump grinding services, we even offer land cleaning services, as well as lot clearing and regrading services. If you’re considering a complete lot clearing and grading, we highly recommend you call us – we know the local law surrounding lot clearing, since there is legislature out there designed to minimize environmental impact. JRP services has the know-how to get you a permit for your lot clearing quick, so you can clear out stumps, take out brush, clear out rubbish, and end up with a flat lot on your hands to get your project started speedily! So contact us today and get your free grinding quote! Or give us a call if you have any questions on getting your lot cleared and graded! Again, we offer stump grinding services for folks throughout Houston, Houston metro, and the surrounding area.